Does Bank of American big man Ken Lewis know what he&apos;s getting into with Countrywide? 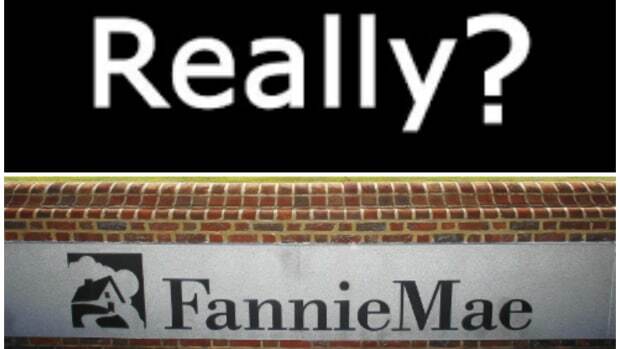 The recent news tying former Fannie Mae chief executives to sweetheart loans from Countrywide may result in the home lender getting cut off from the GSE gravy train. At the very least, Countrywide&apos;s share of Fannie Mae&apos;s dollars for mortgages exchange program is sure to decline. But it&apos;s not just Countrywide&apos;s revenues that are in trouble. It&apos;s piling up declining real estate assets as borrowers default. "As the deal moves ever closer, the number of homes that Countrywide owns in Florida has now climbed above 1,600 and the prices, despite being slashed repeatedly, continue to fall," Michelle Leder writes at Footnoted.org.